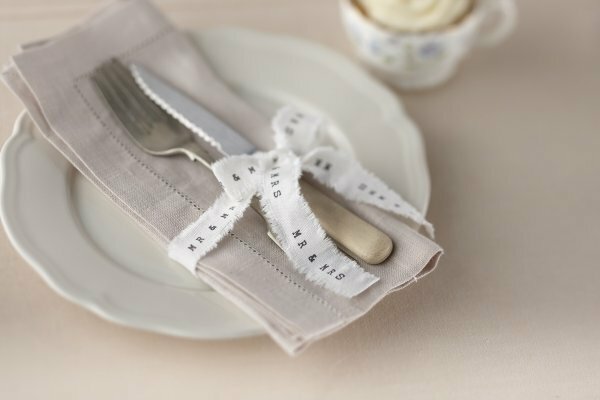 This ribbon is great for decorating your wedding favours or gifts. 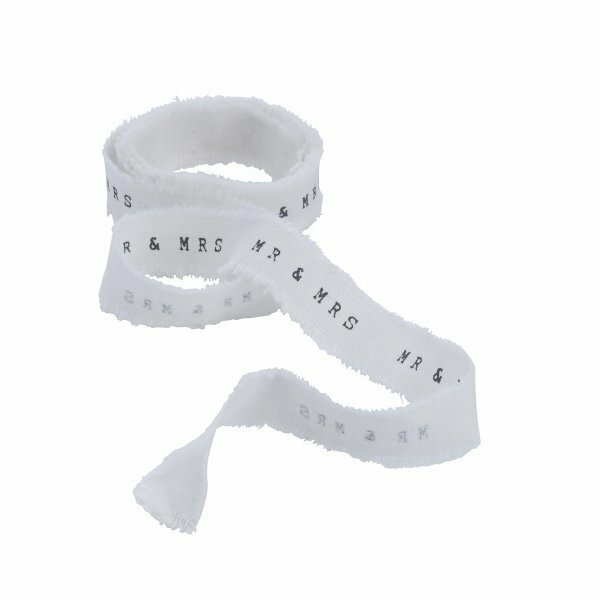 White frayed ribbon with the words MR & MRS printed in a black vintage typewriter font. Also available in Just married print.